Sports Trading Software company RacingTraders have released more dates for their very popular one day Horse Racing Trading Course. This time the boys will be in Birmingham, Glasgow & Dublin and for a very limited time they have a very special offer….. The course is led by Tony Hargraves, aka The Badger, one of the leading UK based professional traders and here he is to tell us more…..
What is the Racing Traders Course? An eight year trading experience, condensed into one day to show you the best way to get started, then improve, then specialise, then succeed. It will involve time, patience, effort, commitment, desire. It will frustrate you, test you, punish you, and reward you. This course is aimed at beginners to trading and to those people who want to look at taking their recreational trading activities to a higher level. It is suitable for beginners to intermediate bettors and traders familiar with betting terms and how a betting exchange operates. We have a packed day to show you how to make a full-time income trading…. Registration & Coffee – Coffee & breakfast snacks with registration and a good opportunity to meet other attendees. 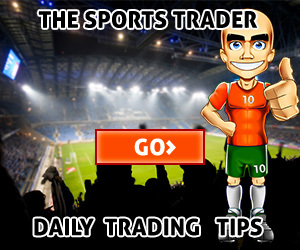 I will cover everything you need to know to begin trading on Betfair. We will look at scalping, swing trading, dutching, hedging, pre race, in play, and backing and laying with a view to trading out. Examine discipline, money management, and the psychology of trading. Research , Strategy , Discipline, Risk. Reasons for failure, value and probability. Data points & websites to follow for key information on horses. How to erase indecision. Know exactly what to do, how much to bet, and the precise time to act. My exact strategy to make between £5 and £25 every race, by identifying signals & resistance points. All the techniques I use in running. The major reasons most punters fail… and how to avoid them! The proper way to hedge for near zero-risk trading. Lunch – We have you covered with a hot and cold buffet lunch. We get out the trading software and I will show you how it operates. Hedging: What to do after a winning trade… how to hedge so you make a profit regardless of outcome. When to “lay” and when to “back” for maximum returns. In-running trading: looking at some of the “hidden whys” behind winning horses and losing horses… and how to tell the difference. Coffee Break – Coffee, tea and soft drinks with some light snacks to keep us going. Live Trading Session 02 : We put everything we have covered so far into practice live on the horse racing! Get to know fellow attendees over a complimentary drink at a nearby sports bar. A great time to swap emails and social profiles to help each other continue to grow on your trading journey. For more details and to book your place just click below and you can also collect that very special full video training pack at the same time…. Sports Trading Software company RacingTraders have just released more dates for their very popular one day Sports Trading Course. This time the boys are taking to the road with a full on UK & Ireland tour and Bet72 have teamed up with the guys to bring you a very special offer….. This course is aimed at beginners to sports trading and to those people who want to look at taking their recreational trading activities to a higher level. It is suitable for beginners to intermediate bettors and traders familiar with betting terms and how a betting exchange operates. The course is primarily horse racing focused, we will also cover football trading and it’s strategies. We will also touch on other sports as appropriate. Improve your understanding of Betfair sports markets. See how I analyse matches and identify trading opportunities. Look at trading in play and the opportunities that arise. How to read racing markets with minimal knowledge. The basics of trading software and why you must use it. To move you from a hobby to a more serious approach. An instant route to success. Easier than any other normal job. Do you understand value and probability? Things you must do to succeed. The difference between being a punter and a trader. Trading the Sports Markets and the process involved before getting involved in a market. Learn what to do when things go wrong. My exact strategy to scalp horses. We will be showing you how to analyse sports trading markets, assess your own price and then compare that to the current market price to obtain a value bet or a potential trading opportunity. We will also look extensively at the racing markets to show you how to identify entry and exit points, the high and low markers called resistance points, and how to make smart trading decisions based on those indictors. We will look at scalping, swing trading, hedging, pre race, in play, and backing and laying with a view to trading out. I will show you how to use the BetTrader software and why you must use it to succeed on the markets. During the afternoon racing, we will trade a dozen or so races live, both pre race and in play and show you how the software works and the best way to use it. I will show you the tools that are available in the software and how and when to use them. We will show you how we analyse an upcoming event and we will look at the stats and form an opinion on that match. We can then look at the exchange prices compared to our opinion and see if we can obtain value (a crucial factor when betting). We will also have a drink after the course, a good time to let everybody swap emails. All attendees will receive the full course presentation and have access to ongoing support on your trading Journey. Lunch is provided as well as morning and afternoon refreshments. Everyone attending the courses will receive 6 months complementary access to the company’s flagship BetTrader software. PLUS how’s this for an extra FREE bonus……. For more details and to book your place just click on the picture below and use the Promo Code bet72 when booking to receive your instant £50 discount….. This is it then, the last weekend of the Premiership season. Blimey where did that go? Quickly glossing over the achievements of my club Reading it has been quite a year so only fitting really that we go out in style with a fantastic competition to round things off. 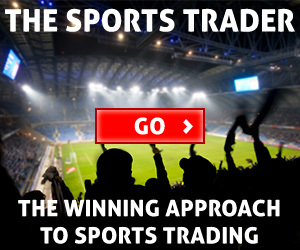 So we have teamed up with the legendary Betfair trader, Tony Hargraves (aka The Badger) who has just launched a brilliant new website, www.thesportstrader.com and we have 2 fantastic prizes from the man himself…..
A comprehensive look at every aspect of Sports Trading. It covers the A-Z of what to do to replicate how professional traders go about their business. 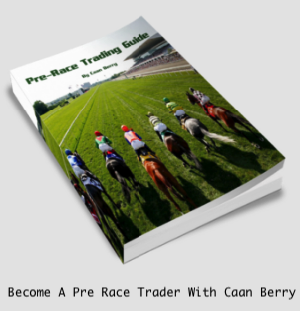 Everything you will need to move from a beginner or hobby trader to a more advanced level. This book looks at everything you need to succeed in the UK and Australian racing markets. It looks at scalping, swing trading, dutching, hedging, backing and laying at the right price, stop losses, how to get out of difficult positions. The Daily Trader is my service delivering the exact same trades I do direct to your inbox in good time to place the trades. I will give you detailed instructions about stop-loss placement, when to get in and out of the trade and as I do each trade myself they are fully researched and planned. This is a professional sports analysis and trading service for those interested in making an income from mainstream UK and Australian sports. These really are the perfect tools to set yourself on the road to success sports trading. In 2013 alone the private members service is up 84% and now the doors are open again for everyone to get involved. And all you need to do to get your hands on one of these great prizes is email us with the number of Premiership goals you think will be scored on the final Sunday of the season. Just email you answer to info@bet72.com and the closest will win the book bundle, second the month’s membership and seeing as we are feeling so generous, we will chuck in a 3 months access to our own flagship software, Oddsmatcher Pro (to tide you over the summer months until the football is back) for 3rd place. The deadline for entries is 3pm on Sunday so get emailing and good luck. And even if you are not a winner don’t worry as to celebrate the launch of the site we have some exclusive discount codes off the books and memberships, just click the banner below and enter the promo code bet72-20 and you will get 20% off everything on the site, nice. 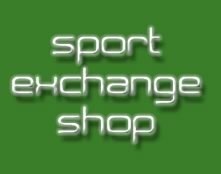 One of the great things about the Sport Exchange Shop, the new Betfair Trading Office over in Warrington, is the wide range people you meet. Just the other day I was sat alongside David Redfearn, as he took in some of the expert trading advice from Tony Hargraves aka “The Badger”. David is a member of the Inner Magic Circle and did some amazing stuff once the day’s trading was done. He did this trick turning a tenner into a 100 Gambian dalasis note and back again, I was as close as you are to the screen reading this and honestly it was unreal. Thanks again David for a very entertaining afternoon.